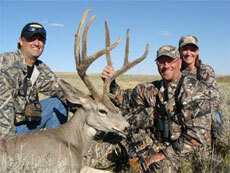 Experience the ultimate rifle mule deer hunt in Wyoming. These spot and stalk hunts are located on private ranches that provide you with the best opportunity at harvesting the trophy you’ve been waiting for. Enjoy the beautiful scenery, delicious meals and excellent trophies on these private ranches in Wyoming while staying in comfortable bunkhouse settings. 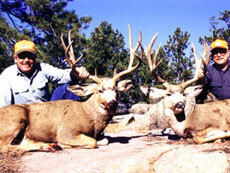 These spot and stalk mule deer hunts provide a successful hunt for both the rifle or archery enthusiast. These bunkhouse hunts provide the furthest reaching range of the mule deer while encompassing the beautiful whitetail area. Bunkhouse – includes meals and accommodations in a comfortable bunkhouse setting. Cabin – includes meals and accommodations in comfortable cabins with a bunkhouse feel.